Diana Palma was crowned Miss Earth Honduras 2018 at the grand finale of Miss Mundo Honduras which was held on 16th June 2018. The national pageant saw the twenty five candidates competing for the national crown with utmost grace and perfection. Diana Palma represented Danli at the finale of Miss Mundo Honduras 2018. As a part of the top three, Diana, in her question and answer round, performed with eloquence and grace. She succeeds Miss Earth Honduras 2017 Valeria Cardona. Diana will now represent Honduras at the upcoming Miss Earth 2018. Also present at the finale was Mr Mundo Honduras who handed over the trophies to the winners announced at the finale. The national director of Miss Mundo Honduras Organization also graced the occasion with his presence. Looking ever so beautiful in her off shoulder flowing golden gown, she received her new crown from her predecessor. She definitely won over everyone’s heart at the finale with her dazzling smile and charm. 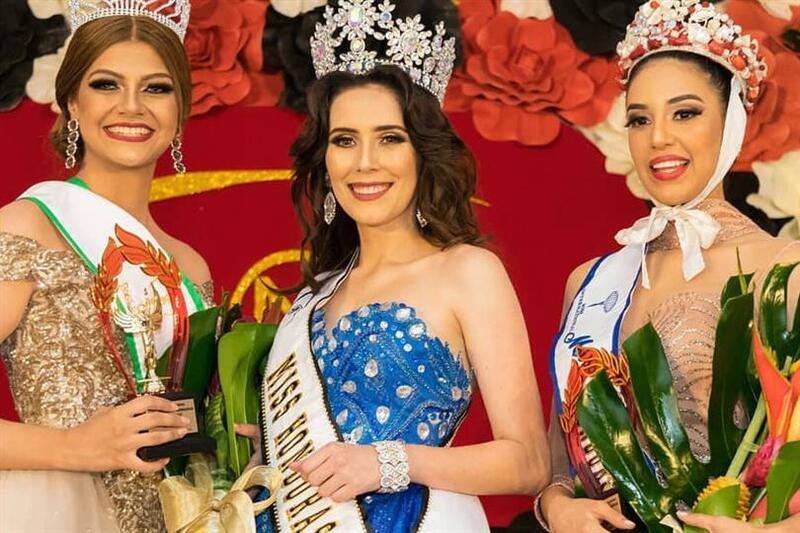 At the finale of Miss Mundo Honduras 2018, the representatives to Miss World, Miss Grand International and Miss International were also crowned. The winners will have the opportunity to represent their country at their respective international platforms. What do you think of the newly crowned queen? Let us know your thoughts in the comments section below.